Hardwood floor steam cleaner reviews contained in the following paragraphs are for best hard floor steam cleaners currently available on the market. 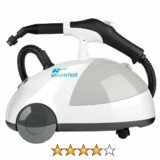 When thinking about purchasing a steam cleaner it is important to be clear of what purpose you would like the steamer cleaner for. The market is filled with lots of different models of steamers from handheld steam cleaners for light home use which cannot be used competently on the hard floors compared to heavy duty commercial steamers. There are also two types of hardwood floor steam cleaner models to consider. The upright and the canister type. The upright models tend to be restricted to cleaning floors and can hardly do anything more. They however have the advantage of being very hot in general and able to do your cleaning projects better. The canister models for hard floor cleaning have a hose and usually come with a whole range of attachments which enables you to clean different surfaces including upholstery, grout and so on. Due to the long hose it results in steam heat being lost. The canister models have this particular weakness of producing low temperature steam unless when a short attachment is being used. Further, you will also need to be aware of the difference between an ordinary steam cleaner and a dry vapor steamer. A dry vapor steamer often has a stainless steel boiler and can heat up to as much as 285F to 300F. This ensures that vapor is produced instead of steam. You might be asking what the difference is between steam and vapor. The answer is vapor has way less moisture content at between 3% and 4% compared to steam which people often complain it leaves floors wet. If you pick a vapor cleaner for your hardwood floor steam cleaner, you are guaranteed of quick drying floors. As you might be aware water is wood's first and foremost enemy. In fact there is less risk when cleaning with vapor of damaging your expensive floors due to a trail of water left by a poor steam cleaner. Vapor steam cleaners are naturally more expensive than ordinary steam cleaners due to the results they guarantee. They often have a wattage of as high as 1700 watts and even more. 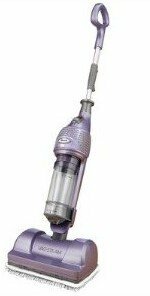 As you set out to read the rest of the hardwood floor steam cleaner reviews on this page such as Shark and others these are some few important tips to take along. The Shark MV2010 Vac-Then-Steam cleaner is an extremely popular home appliance. It has one of the best ratings and reviews on many consumer websites such as Amazon and many others. Its popularity is rooted in its ability to do two chores in one. It is essentially a combination of two appliances in one namely a vacuum cleaner and a steam cleaner. The icing on the cake for this hardwood floor steam cleaner is that it actually works. This is a major breakthrough considering that many combo appliances have been a disappointment and let many users down despite hyped advertising. The ratings of this unit, albeit amidst some negative reviews, have overall been great. One of the limitations of steam cleaners has been the problems associated with dirt particles. In particular sand particles can badly scratch your wooden floor. This is more the case for people who live in sandy places. When cleaning your hardwood floor the vac-then-steam cleaner first gives you the opportunity to remove any particles by vacuuming them out before steaming your hardwood. This protects your sensitive surfaces from the damage caused by dragging particles back and fourth on the floor as you steam. Some users have had high expectations of the vac picking up huge particles of debris. This is never the case even with specialized vacuum cleaners. The bigger particles will have to be picked up by hand. To get the best steam output, lower the appliance handle at an angle. This is what continuously activates steam output. Due to its design, the challenge of combo products, not everything in its path will be picked up by the vac part of this combo. This particularly means edges and corners of the head will not have particles picked up. Again due to design challenges do not expect a simultaneous vacuuming and cleaning. It will have to be one at a time. It just has to be one at a time for best results. 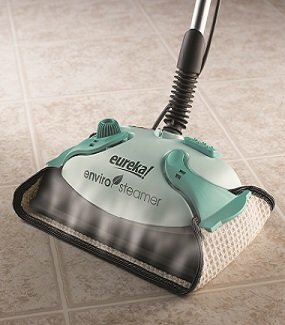 The Eureka Enviro steam cleaner is also one of the best hardwood steam cleaner models available on the market today. It enjoys very good reviews and has been praised for being very easy to use and effective. This steam cleaner will clean your hardwood floors very effectively. You will however need to ensure that your hardwood floors are sealed to prevent damage. The steamer produces steam as hot as 220 degrees. This is significant considering that the hotter the steam a steam cleaner produces the faster the floors will dry up and the less the risk of damaging wooden floors as the steam will be containing less moisture. This is what makes vapor steam cleaners also popular and expensive. This Eureka Enviro will also sanitize your hardwood floors. It will be necessary, however, to hold it in position a bit longer to achieve higher temperatures concentrated in a single place. This is the best way to effectively sanitize. The manufacturer estimates that by holding the steam cleaner in position for about 8 seconds you will raise temperature to as much as 170 degrees in one place being sanitized. This kills certain bacteria. The Eureka Enviro hardwood floor steam cleaner will produce continuous steam for up to 20 minutes. It comes with two pads which you clip to the head. These are washable and recycled in as much as they shrink after washing. Many users have however complained that the two accompanying pads are two few and the recommendation is to order extra pads on appliance purchase to avoid any inconvenience. Some users have also complained that the steamer tends to pour out water on the first few uses. This is a pattern observed by countless users. The solution here before you think about returning your steamer is to let it heat up 3 to 4 times. After this you should be able to get a stable and normal use producing hot steam as expected. In order to guarantee perfect functioning over a long period of time the tank needs to be rinsed out with water once a month to eliminate any accumulated calcium deposits. Also obviously the steam lasts longest if you don't hold the mop above the floor to walk to another area since the steam pours out as it will with any steam mop if you do. As mentioned there is a ground swell of consumer confidence in this model. 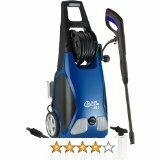 We recommend this steam cleaner for your hardwood floor steam cleaning. Just ensure that your hardwood is sealed before following this recommendation.